South Africa National Cricket team : The Proteas are the textbook definition of underachievers : they have gracefully jousted against the world’s toughest competition, become a team that can wear the crown of being on top of the ICC rankings in all three forms of cricket – Tests, ODIs, and T20s simultaneously, and bask in the adulation by retaining the top place for almost a year, have set the record for the biggest run-chase that ended in a success, have hosted legendary players both before and after the ICC anti-apartheid ban, and yet it is South Africa who shoulders the agony of never being able to make it big when it comes to tournaments and trophies – with the sole exception of the 1998 Champion’s trophy standing as the odd one out. As the ODI World Cup draws near and waits merely eight months away, another batch of talented, star-studded roster wonders whether they will be the first legendary batch to bring the prized Cup back home. The question begs to be asked, will South Africa finally be able to shed off its maligned label of chokers? 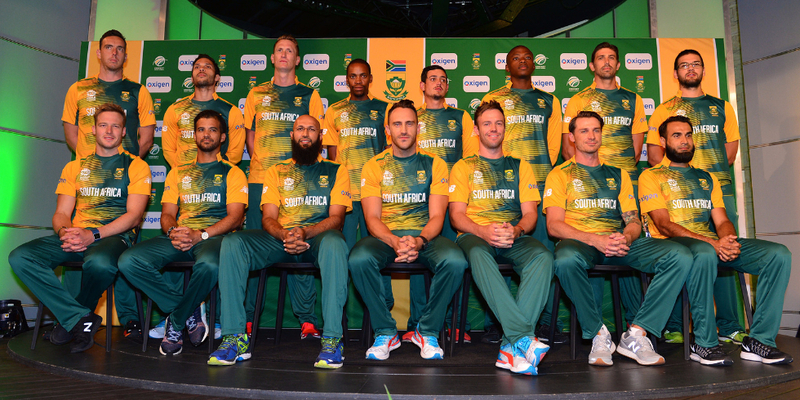 South Africa National Cricket team : Whenever there is the talk of the Proteas in recent years, the first thing that comes to mind is the bowling powerhouse – the battery that contains Del Steyn, Morne Morkel, Kagiso Rabada, Keshav Maharaj, Vernon Philander – the list goes on. To anyone who had seen the opening Test match of the tour in India’s South Africa tour of January this year. Vernon Philander had played his career-best inning as the pace battery had battered the batsmen of India. It can be argued that the day 2 Capetown pitch completely played into their territory – speaking literally and metaphorically, but that cannot diminish the serious pace and accuracy that Philander had exhibited that day. Their batting lineup collapsed and all the wickets fell as they managed a meager 135, giving South Africa a 72-run lead win. South Africa had won the Test series leading 2-1. Philander’s impressive form has continued, and he will be one to watch in the upcoming fixtures against Zimbabwe and then Australia later down the line. More recently, there has been the anxious see-saw Sri Lanka tour of 5 ODIs, 2 Tests and 1 T20 match, where Sri Lanka had trumped the Proteas in the Tests, which was countered by a stellar three-match winning spree as the Proteus steamrolled through the listless Sri Lankan bowling lineup. Sri Lanka then recovered and tipped the balance in their favor to win the rest of the ODIs, losing the ODI series, but securing the momentum to grab the one-off Twenty20 match, as the trio of spinners – Akila Dhananjaya, Dhananjaya de Silva, and Lakshan Sandakan succeeded to upset the batsmen, raking in all the stumps by over 16. When AB de Villiers had announced his retirement from international cricketing career, it was cause for much concern and uproar, and with good reason. With de Villiers is gone, who will be the backbone in the middle batting lineup? There remains much uncertainty, with something of a glimmer of hope with the consistent performance delivered by all-rounder J.P. Duminy as he tried his best to band-aid the gaping hole in the batting order left by the now retired de Villiers. If his form as seen in the Sri Lanka tour continues to persist in upcoming fixtures, half the problem has already addressed itself, as he will continue to chase intimidating figures and handle both paces and spin with the same panache. From there, the South Africa panel has its options – Aiden Markram, David Miller, and Heinrich Klaasen are quite valid contenders, which should at least ensure a stable ODI order. South Africa National Cricket team : With his ability to face up against leg-spinners alone, the young Aiden Markram is worthy of a permanent place in the batting lineup. The 23-year old was off to a record-setting start when he scored two centuries in his very first three test matches – on two different pitches, no less. The youngster had even stepped up into captaincy, deputized for five ODIs against India in February 2018 when the then captain Faf du Plessis had to sit out with a finger injury. The fact that Markram has a shining career ahead is obvious at this point, and he will play a vital role in bringing the much-needed strength to the batting lineup in the foreseeable future. In the seam-friendly conditions that the English clime is likely to provide, fast bowling will be the deciding factor when the odds are equal, and it would be unnecessary to stress the pace prowess that Proteus packs. With Ngidi, Rabida, Morkel et al to hit the pitch hard enough, South Africa can leverage their strength to be the forerunners in World Cup 2019. Del Steyn, if he can play uninterrupted by injuries, is on a league of his own, too. 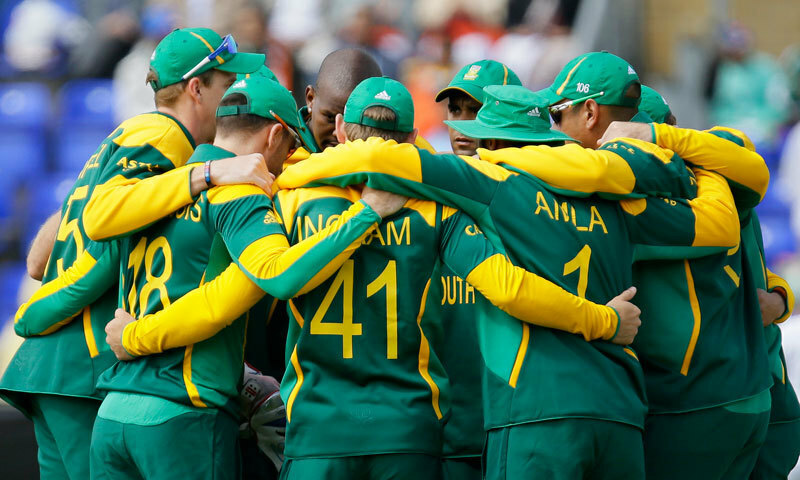 The Proteas had taken their exit at the 2015 semifinals after a thrilling match of the fierce competition against an equally resilient New Zealand and provided that they establish a workable middle order, if they follow through with that form, they can finally hearken to the plaudits of becoming finalists – potentially even winners.